Thin Sliced Cabbage in a mixture of Gram flour, deep fried in Oil, tastes Yummy – a great evening Snack.. In a bowl, mix with Gram flour, Maida, Chilli powder, Salt, Onion, Cabbage, Garlic Cloves & Green Chillies. Sprinkle water and prepare like vadai batter. Heat oil in a pan, fry yummy Cabbage Patties.. 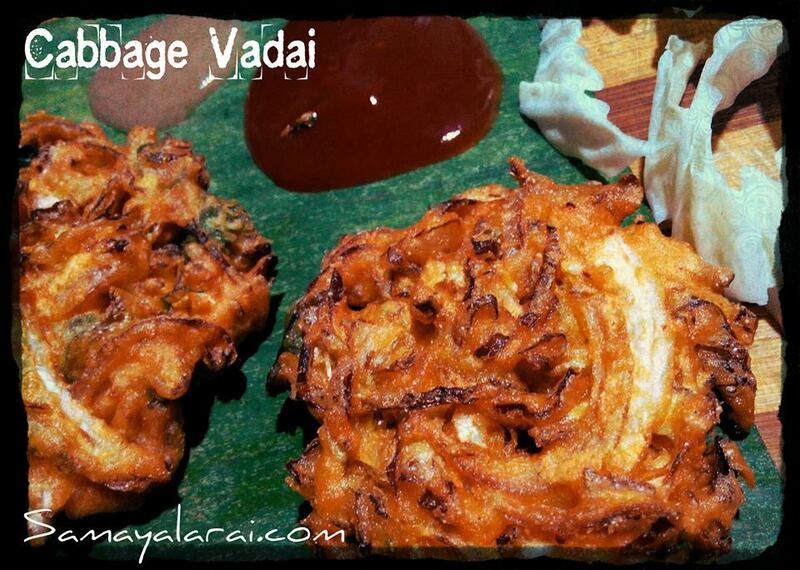 ie., Cabbage Vadai..
Dole out hot with Green Chilli Sauce.